Recreate WWII in the west from the 1943 Allied invasion of Italy, through the Normandy landings of 1944, to the conquest of Germany in 1945. WestFront details the conflict between Germany and the Western allies during WWII. Both sides face unique strategic challenges. The Axis must garrison the coastline from Denmark to the Balkans (including Spain) and react to enemy landings wherever they strike. Successful Allied invasions require planning and skill to adapt to the German defense. WestFront is part of a three game series: EastFront, WestFront, and EuroFront. 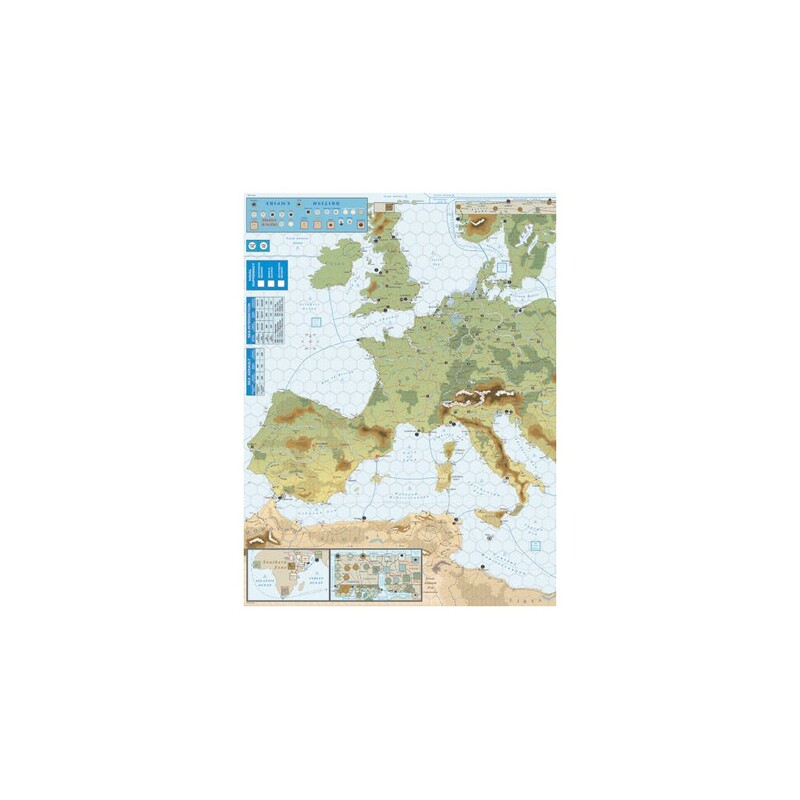 The second editions include larger maps, more units, and seamless integration into EuroFront.